Oh, I just noticed that the name of the dish has a very good alliteration. Though it’s named Chinese Chilli Chicken aka CCC, I’m not very sure how ‘’chinesey”it is. I can assure you that soya sauce and rice wine vinegar are used in my recipe which is an integral part of Chinese cuisine. Since Chinese food is a family favourite, anything on those lines will always be appreciated. This CCC has no heavy sauces, colour or red chilli. Nor does it have any aji-no-moto. 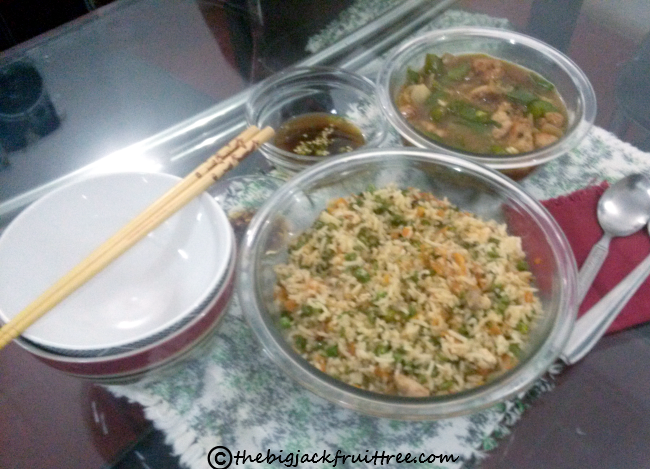 The subtle flavour of this dish makes it a very good accompaniment to vegetable fried rice or noodles. Enjoy, or as they say in Chinese, Xiǎngshòu! Marinate the chicken pieces with the ingredients mentioned above for a minimum of half an hour. Heat a thick bottomed wok or a frying pan. 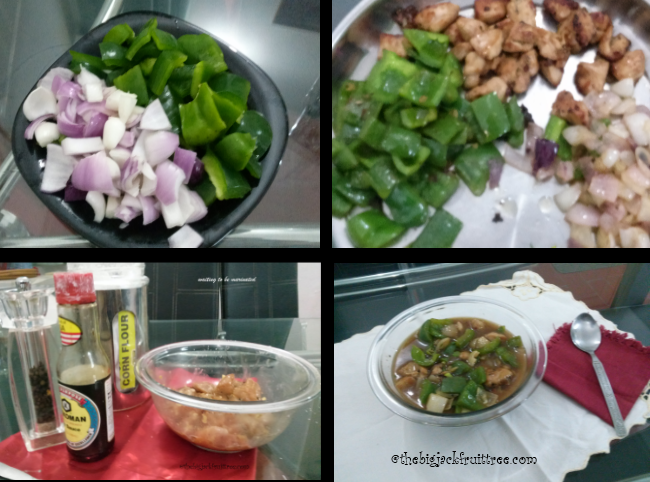 Once the pan is hot, shallow fry the marinated chicken pieces till tender in some oil and remove from the pan. If breast pieces are used this will take 4-5 minutes, thigh pieces will take 8-9 minutes. 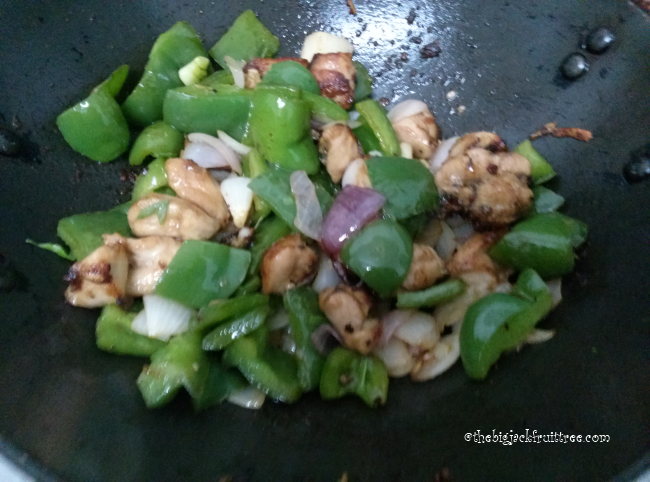 Add another table spoon of oil to the same pan and sauté the sliced ginger, garlic and green chillies till garlic becomes light brown. 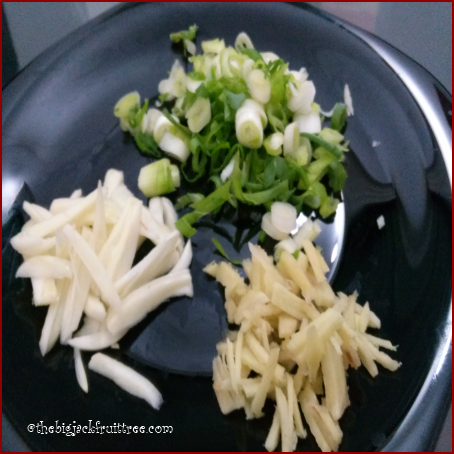 This frying should be done under low heat as the garlic slices get burnt very quickly. Add the sliced onions and sauté. When it becomes transluscent add green peppers followed by the fried chicken pieces. Fry for a couple of minutes under high heat. Now add the two sauces, rice wine vinegar, salt and pepper powder. Care should be taken when salt is added as the soya sauces used already have salt in them. Stir fry for a minute or so. Add the stock, stir and let it simmer for 5 minutes with a lid on. Mix the corn flour with water and add that mixture to the simmering stock in the pan and stir in quickly. Remove the pan from fire and add chopped green/ spring onions.